GAP Salon, Female Arts, and So and So Arts Club are having a party at the Southbank Centre’s Women of the World (WOW) Festival! Please join us on Wednesday, March 5th for a festive evening with excellent company, fine wine, live piano music, and performances by exciting female artists. 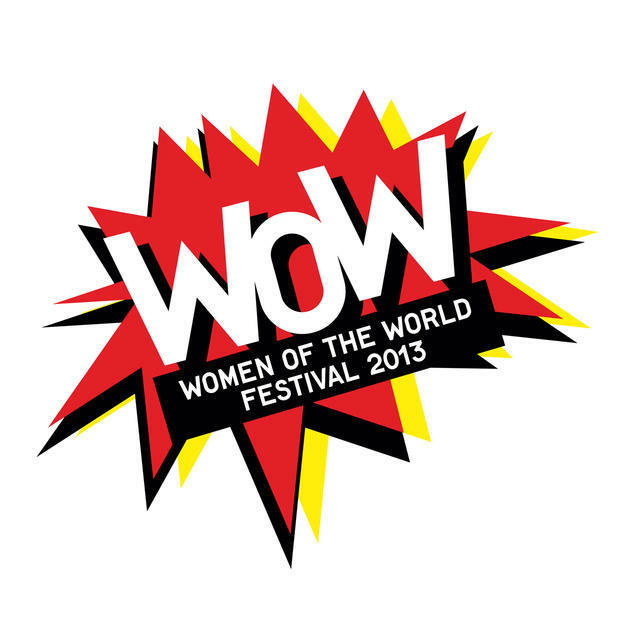 The evening begins at 6PM in the Southbank Centre’s Clore Ballroom, where the organisations hosting WOW Parties all over Royal Festival Hall will come together to briefly introduce their work. Afterwards, we’ll retire to our private event in the Spirit Level Foyer and White Room [venue map] for drinks, mingling, and piano music from Johnathan Tuck. Special thanks to Bar Titania, Blue Nun Wines, and Off-Piste Wines for their generous in-kind support! Two sets of performances will take place at 7.45 and 8.45PM. Please RSVP to reserve your ticket. This is a free event; there is an opportunity to make a donation with your RSVP. Any support you can give to help us cover the costs of the event will be greatly appreciated. Emily Snee is cross. Not only is she cross, she’s frustrated. Not only is she frustrated, she’s outright angry! So angry she’s busting out her funny for YOUR entertainment. Blasting through boundaries and trashing taboos, Emily is what condescending baby-boomers might call ‘feisty’. Melissa Dunne is Artistic Director of Papercut Theatre. This excerpt from Top Girls will also be performed in Bite the Apple, a showcase of scenes from plays featured in Lucy Kerbel’s book 100 Great Plays For Women. March 8th at the Etcetera Theatre in association with GAP Salon. Performed by arrangement with Casarotto Ramsay & Associates Ltd.
Amelia Clayton-Jones is at a turning point in her life. Geoffrey has ‘gone’, she is released from a life of duty and compliance. Minor acts of social defiance lead her further and further away from the Tennis Club, the WI and in direct defiance of the Neighbourhood Watch. Having taken the house down, can Amelia build it back up? Is it a house at all now, or more a shared warehouse in Hoxton? Vaishali made sacrifices for her family and now she is fulfilling her ambition of studying an art history degree. Free of her grown up children. So why is daughter Amita bothering her in the student union – can’t she go away? A show about identity, parenting, adopting and always saying the wrong thing. Arna is a story based comedian, originally from the Netherlands. Expect everything: being a Dutch lady in a English society, smear tests, and dinosaurs. With a gun to her head, a young woman confesses to every crime in the history of the world, making no discrimination between the traumatic and the petty. She offers herself up as the first universal scapegoat, ready to throw herself onto the post-expenses, post-Leveson, post-Savile pyre. The audience is implicated in the arranged murder of an impossible criminal – except that the execution doesn’t end quite as planned, leaving questions about guilt, blame, accountability, and what we expect such a punishment to achieve. featuring Hannah Grayson on flute, Vanessa Howells on oboe, and Emma Miller playing Georgie. ‘Maestropants’ follows the journey of a Georgie, a music lover who finds herself in charge of two musicians expecting to be conducted. With all the confidence of a great conductor and none of the ability, Georgie’s idealistic hopes do not go to plan. Through playfully experimenting, they discover their own language. Selected poems from Lazy Thoughts of a Lazy Woman by Grace Nichols. Positive action, empowerment, and inspiring change. The Helen Project received development support at San Francisco’s DIVAfest 2013. More about The Helen Project. Carmen Ali has been gigging consistently for 2 and a half years. She reached both the Laughing Horse quarter finals and the Costa Comedy Light Regional Finals in 2011. At Edinburgh festival in 2012, she performed at various gigs including Funny’s Funny and at the Secret Comedy Lock-in at the Gilded Balloon. She has also performed on a named bill in Leicester Square Theatre and The Cockpit Theatre. Carmen Ali tells honest, explicit and filthy stories about her life, from a feminist perspective. Ballsy and flirty, with an inner vulnerability, and a sharp and witty tongue. We are performers, directors, writers, designers, technicians, and theatre managers. We are frustrated by gender representation in our stories, culture, and society. The GAP Salon facilitates regular meetings to connect, sustain, and inspire artists and advocates working for gender equality. In 2014, we are planning a range of events including theatre-going, skill sharing, networking, and artistic workshops. Female Arts online magazine focuses on women in the arts as a response to gender inequality – only 17% of playwrights, 23% of directors and 35% of actors are women (source: Sphinx Theatre). Launched in 2011 and run by Editors Wendy Thomson and Sophie Porter, the magazine promotes women in performing, visual and literary arts. Our review team attend productions focusing on female creatives including theatre, exhibitions, film, literature, dance, books, TV, comedy and music. We publish daily information about upcoming shows, interview inspirational women and feature companies and events. So and So is a global arts club which creates an online platform for artists of all disciplines and ages to meet and collaborate. In the past year actors, writers, directors, producers, photographers, agents, designers, casting directors and fine artists have come together across a series of interactive events including two festivals, short film screenings and rehearsed readings of new work.We have over 1000 members including some from the USA, Canada, Australia,Hong Kong, Singapore and Sweden. Our aim is foster direct collaboration and to generate paid work.